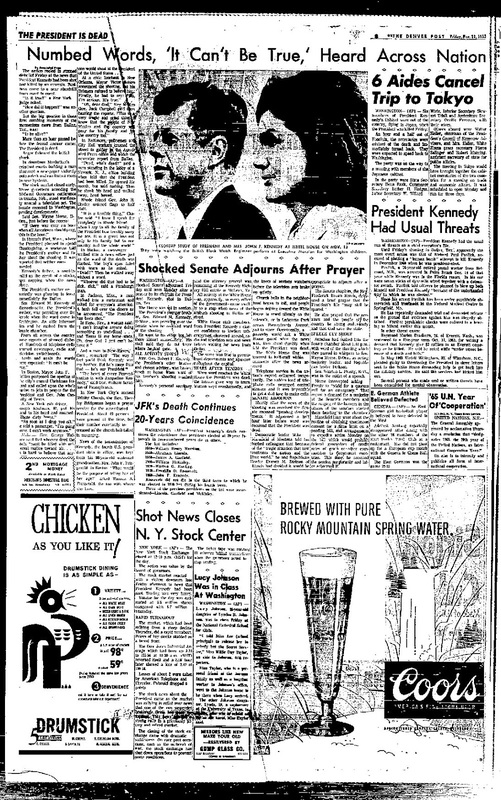 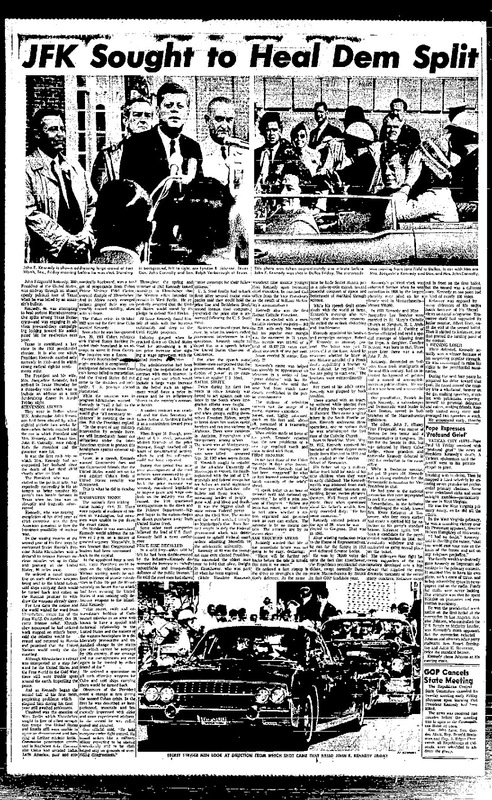 The Denver Post was one of the only newspapers in the country to report on the President's assassination on the day it happened. 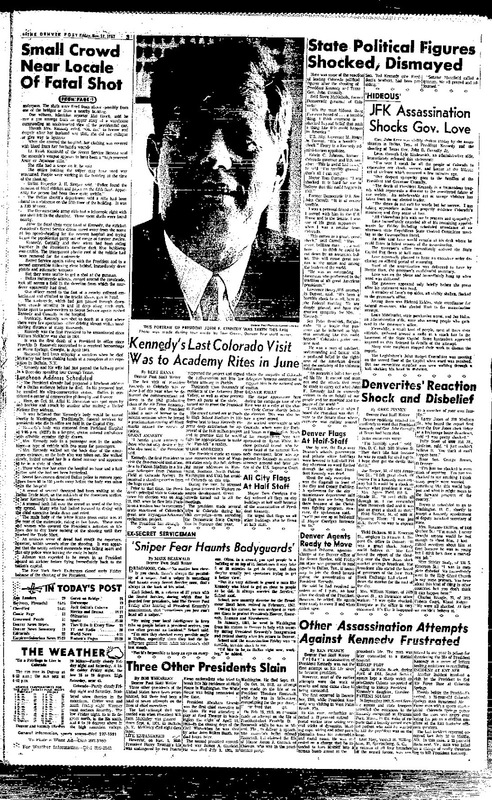 These stills are from the Denver Post Late Edition November 22, 1963. 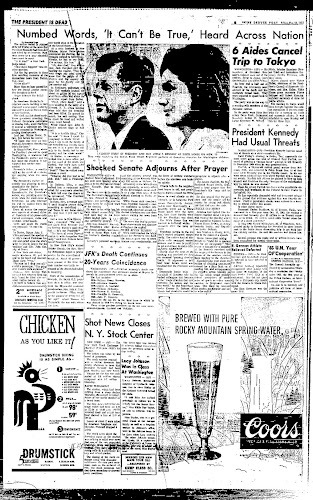 Accessed from microfilm archives located in the Denver Public Library, in Early June, 2017. 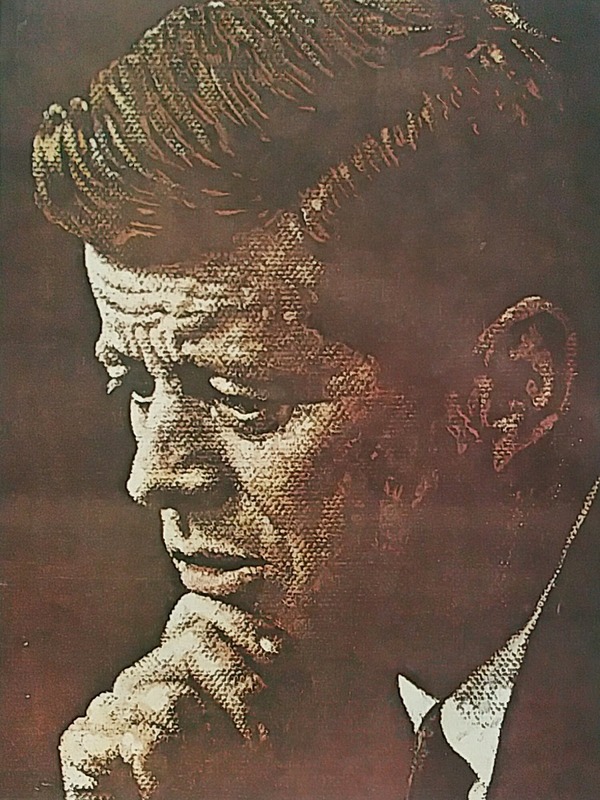 Norman Rockwell's iconic image of JFK appeared on the cover of the April 6, 1963 issue of the Saturday Evening Post. 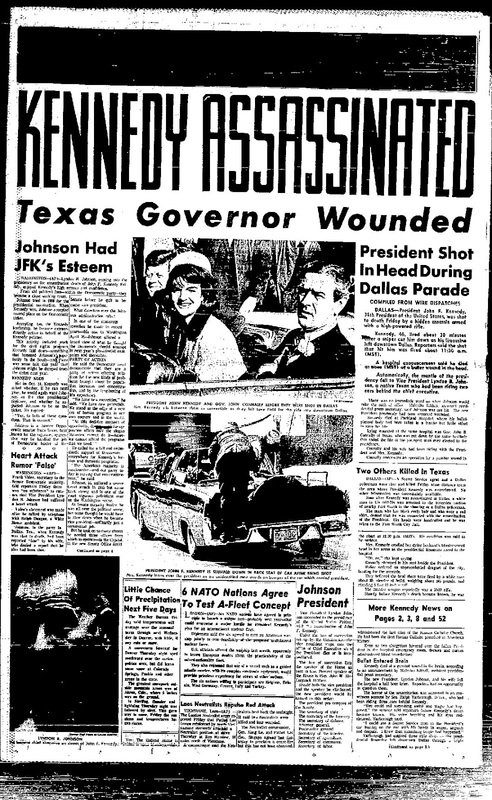 It was recently auctioned by a Museum in Newport, Rhode Island.